Today is my day to share a project on the Newton’s Nook Designs Blog. 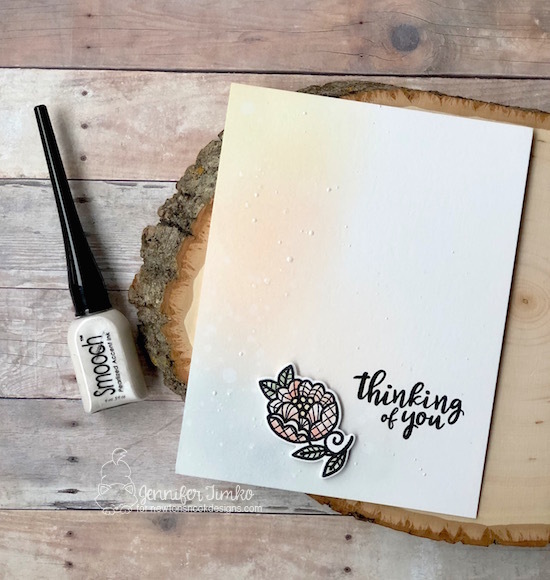 As I sat down to create, I was drawn to subtle and soft colors and decided that the pretty Wedding Frills stamp set would be perfect for them. Using a piece of Bristol Smooth paper I inked up the background with Distress Inks and then splattered a bit with water. I stamped the little flower (in truth, I stamped three of them) and then colored with the Distress Ink and used the coordinating Wedding Frills Dies to cut out the images. 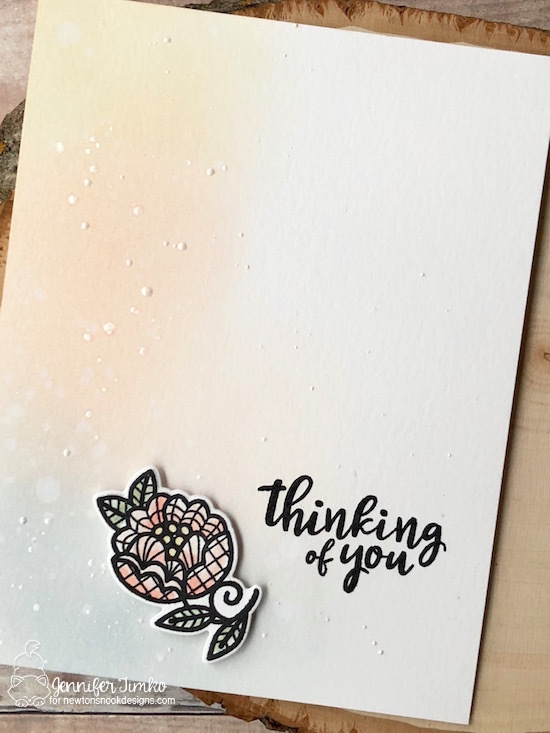 I love the fonts in the Peony Blooms stamp set and thought the muted colors could be perfect for a “thinking of you” kind of card….could be sympathy, could be just because. I had planned to put three flowers down the edge but when I was playing with the final layout, I found I liked it with just one. To add a little more detail to the card, I splattered on some Smooch Accent Ink in Moonlight. So pretty!! I hope you are inspired to get inky today!! I love when I can create just for fun and this card really was just that. Make sure to stop by the Newton’s Nook Designs blog for daily inspiration. Thanks so much for stopping in and I’ll see you soon!